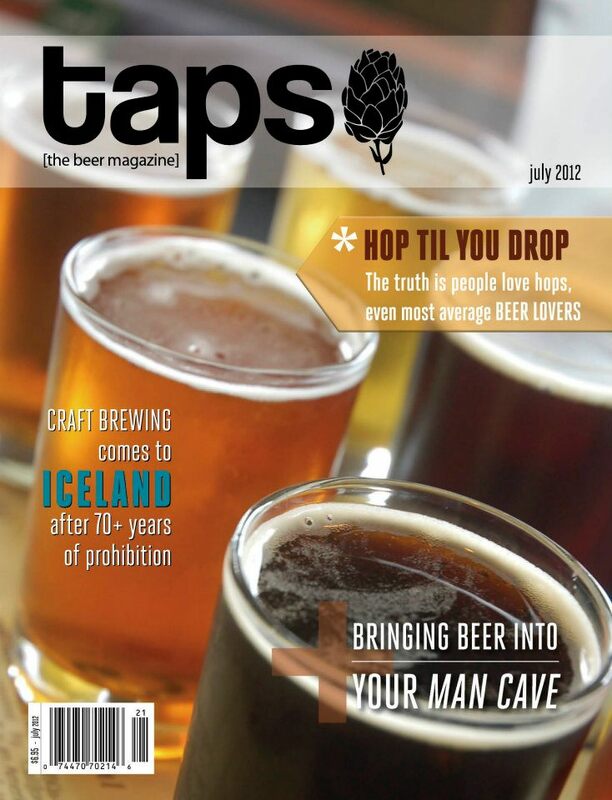 The July issue of TAPS is now available with a new logo and look to the magazine. In addition to the new look and feel, the magazine will now be published bi-monthly instead of quarterly. The Maritime brewing scene is well represented in the issue as usual (our friends in Newfoundland not so much). The Bar Snacks section of the magazine includes news related to Acadie-Broue, PEI Brewing Co., Pump House Brewery, Moosehead and Bridge Brewing Company. New Brunswick based writer Craig Pinhey has an article on high IBU beers and an article on Atlantic Canadian waterside pubs which includes the Hart & Thistle, Artisan Cafe & Brewpub (Shiretown Beer) and the Rare Bird Pub & Eatery (Authentic Seacoast Brewing Company). The Tasting Panel features two reviews of Propeller Double IPA. (My thoughts on this beer: Holy Hops Batman! If you haven’t tried it yet you owe it to yourself).